Wirtland has announced plan to legitimately acquire real land from one (or even several) world's countries. If realized, it will be the first case of peaceful formation of a new country “from a scratch”. According to official press release, Wirtland approached the government of Nauru with a formal proposal to transfer a piece of its territory to Wirtland. Nauru, one of world's smallest island nations situated in the South Pacific, has vast barren terrain left over after several decades of phosphates mining. “Proposal for Monetization of Unused Land by cooperation between Republic of Nauru and Wirtland” is intended to utilize a piece of Nauru’s barren terrain. According to the Proposal, “Republic of Nauru officially assigns a piece of its territory, of any quality and size, to Wirtland. Nauru will have a major stake in future sales of land from this territory, agreed in contract”. In his letter addressed to the President of the Republic of Nauru, Chancellor of Wirtland underlined his hope that “such a plan, if realized, will make a positive effect on the economy of Nauru”. Thereby the virtual state would take hold of official territory, which later would be offered for sale to people willing to become citizens of new country. The quality and size of territory do not matter: Wirtland will remain virtual community, as no buyer will physically move to Nauru. However, presence of defined territory is a necessary condition for diplomatic recognition of Wirtland by international community, according to Montevideo Convention on the Rights and Duties of States. According to Article 1 of Montevideo Convention, to have sovereignty, a state must have a permanent population, a defined territory, and a government. 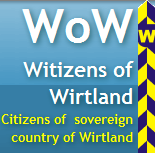 Wirtland hopes that peaceful acqusition of even a small piece of territory by virtual community will become a unique historical precedent and will open the door towards full official recognition of Wirtland, legitimization of Wirtland passports and other documents issued by virtual state. For a partner country such as Nauru, the result of the barter deal is possibility to make money out of otherwise useless land. Nauru’s official reaction is not known. Wirtland reserves right to approach other governments with similar proposal. Wirtland describes itself as an experiment into legitimacy and self-sustainability of a country without its own soil. 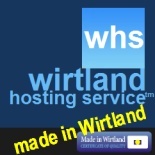 Founded in 2008, Wirtland represents people from all five continents. Wirtland issues plastic ID cards, mints its own gold and silver coins. Wirtland's population is around 1,000 people. Republic of Nauru is an island nation situated in the South Pacific. Nauru's population is around 10,000.